InvestorData provides an end-of-day data feed for all JSE listed stocks, indices, futures, unit trusts, and much more. Our data is compatible with a vast range of charting systems. Highest quality at the best price. 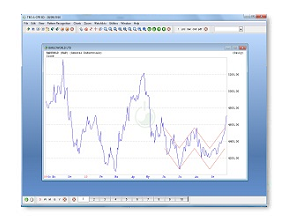 In partnership with TimBukOne (Pty) Ltd we are offering TBO Advanced Charts to all our clients for no upfront fee. 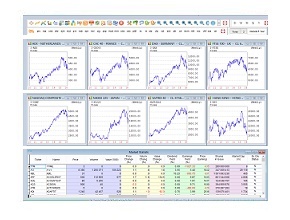 It is a state-of-the-art technical analysis system with extensive additional information on all JSE listed companies. 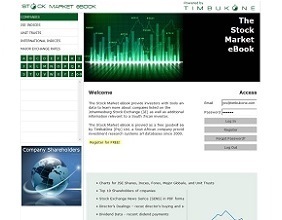 It also includes a vast database covering unit trusts, forex, international markets, and much more. A very powerful pattern recognition system which helps you find any price line trend or candlestick pattern you can imagine. InvestorData (Pty) Ltd are giving a copy of TBO Advanced Charts to all our annual up-front paying clients FOR FREE - a US$300 value-added gift. 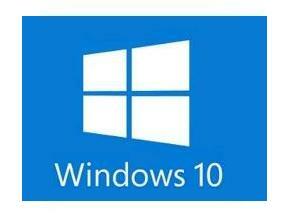 All InvestorData (Pty) Ltd data, software, and services are currently compatible with Windows 10 as well as all prior versions.